Opening day is for shaking off the rust that has accumulated over some much needed time off the fields. 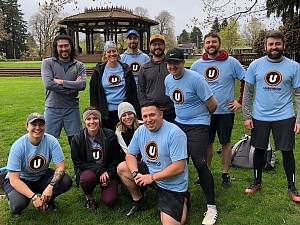 For Biyeee Week, the rust stayed on until the Bottom of the 7th, where their legs warmed up, ripping off a 6 run rally to walk-off against the always ferocious CATS! Better late than never, right guys! ?